Interested in becoming a member? Request more information. Serving the entire state of North Carolina, United Minority Contractors of North Carolina is actively engaged in meeting the needs and concerns of its members through outreach, education, business development and public advocacy. We provide our members with access to information about public and private business opportunities, access to timely and relevant education, and training. We advocate on the State and local level for minority contractor interests; We act as an industry liaison to connect our members and strategic partners. 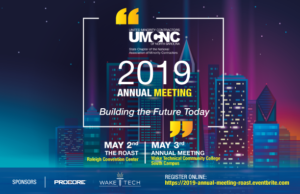 UMCNC members are leaders in the industry and include program and construction managers, general contractors, subcontractors, manufacturers, suppliers, engineers, architects, attorneys, accountants, non-profit organizations and state/local government agencies.